Rainah Davis is a native of North Carolina and a graduate of the noted North Carolina Central University in Durham, NC. With almost two decades of invaluable ministry and business experience, she is a multifaceted leader and innovative game-changer often sought out for her expertise in administration, branding, marketing, publication, content development and ministry strategies. She is also currently pursuing her master’s degree in Communications at Queens University of Charlotte. 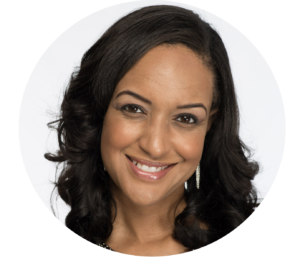 More than a business woman and author, Rainah is a passionate and dynamic communicator whose pronounced wisdom and extraordinary ministry gifts have made her a sought after event speaker. She has a servant’s heart and approaches every aspect of the kingdom from that perspective. She enjoys working with churches and ministries and is passionate about helping leaders fulfill their God-ordained vision and purpose. Currently Rainah provides consultations, strategies and coaching services through her organization Kingdom Work Life. She also recently released her first book Super Kingdom Admin. This book is the summary of a workshop has been presented to kingdom/church administrators regarding the importance of their role to their pastors, leaders and the body of Christ. This position is more than a job. It is a calling. The book outlines seven components for success in this role. Whether the reader is a volunteer administrator or full-time staffer this book illustrates the critical importance of administration in churches, ministries and non-profit organizations. This book explains why this role is not only a position for the clerical superstars, but also for those who have a heart for service and compassion for the people of God. Lastly, the book shows the role that every administrator has in assisting their leaders and pastors in birthing the leader’s vision and achieving their kingdom objectives. Her 2017 initiatives include Kingdom Couture—image consulting and personal branding for women. She has a desire to help women slay every day and be their best by inspiring then in the areas of: fashion, fitness and faith and StartWriteAway—a content development and publishing firm that assists with ghostwriting, editing and helping authors establish their own publishing companies. When she is not working with leaders, administrators, writers and entrepreneurs Rainah enjoys spending time with her family. She is married to an amazing husband, Jason; a mother to six incredible children including an awesome son-in-law; and is the proud grandmother of her first grandson, Matthew. She resides with her family in North Carolina.